Announcement Buy with confidence! 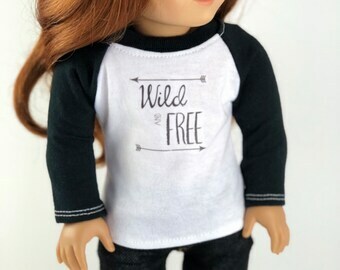 2019 is my SIX YEAR ANNIVERSARY here on Etsy and I am so thankful to all my awesome customers and their thoughtful reviews. 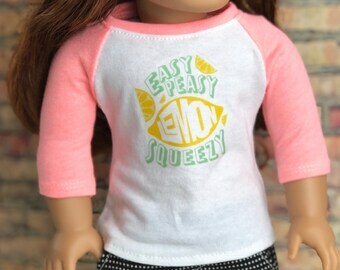 You all make the Etsy and American Girl community so awesome! 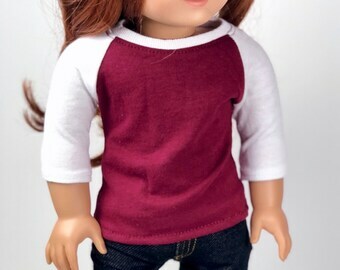 All items are for 18 Inch Dolls unless otherwise indicated. 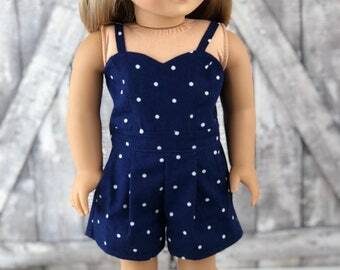 You can also find matching clothing for 14.5 Inch Dolls and Little Girls in select styles! 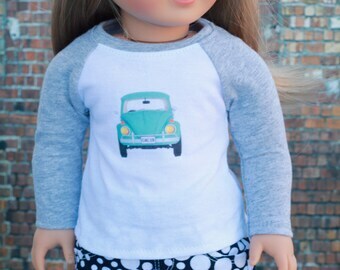 Items listed are made and ready to ship to you the next business day after you order. Buy with confidence! 2019 is my SIX YEAR ANNIVERSARY here on Etsy and I am so thankful to all my awesome customers and their thoughtful reviews. 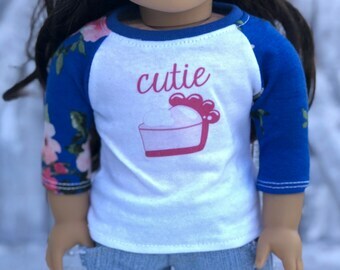 You all make the Etsy and American Girl community so awesome! 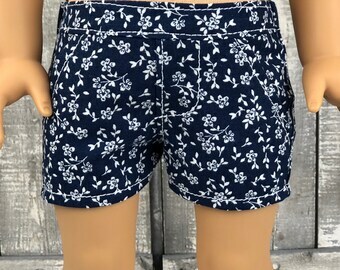 These little shorts are so cute. 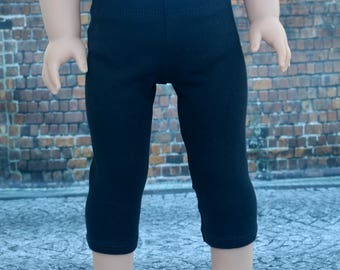 They are very well made of quality fabric. 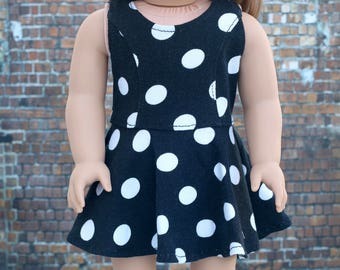 The style is classic and illuminates the polka dots. 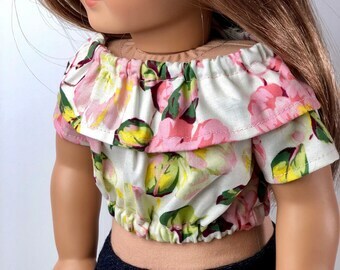 I also love the fabric color. Thanks so much. 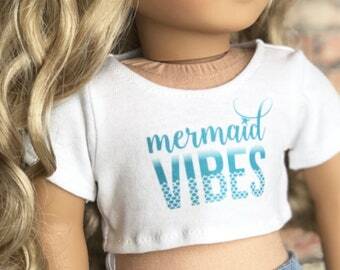 Any mermaid vibes out there? 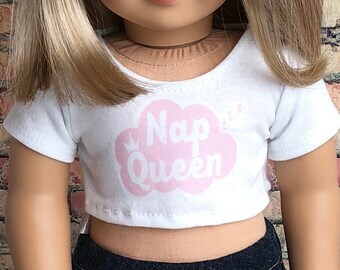 This cute graphic is available on tops in doll and girl size. 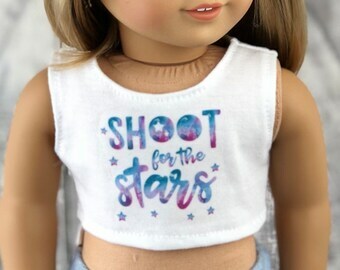 Super cute for photo shoots! 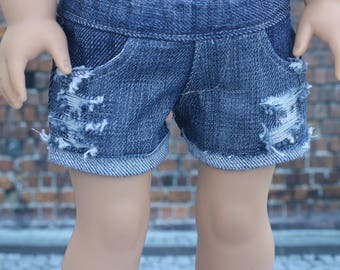 Looking for distressed jean shorts for your doll? 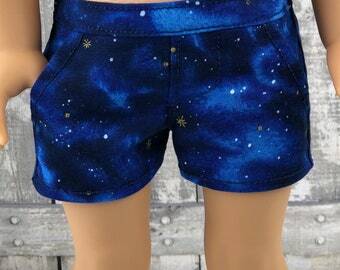 Closet4Chloe has light and dark wash shorts available! Hi! 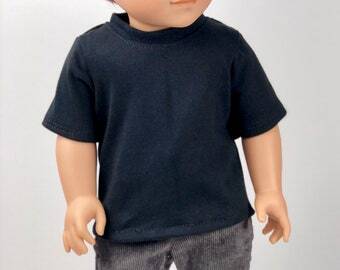 I've always loved dolls but didn't own an American Girl doll until my daughters. 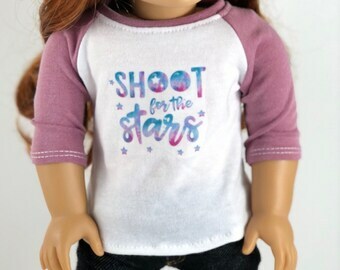 When I starting sewing clothes for their dolls, I suddenly had an inspiration to start my own business selling them. 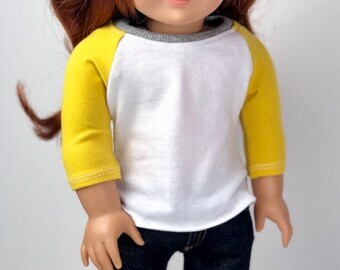 Now I have an excuse to buy more beautiful American Girl dolls. 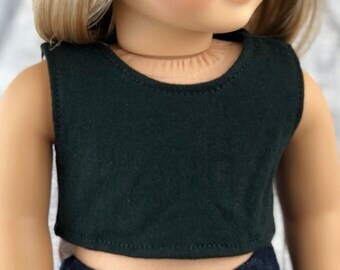 It's so fun dressing them and sharing my clothes with you all. I'm still in awe that my clothes have found new homes in such awesome places like France, Ireland, Hawaii, Australia, and England! My home studio started in Columbus, OH but has recently moved to Grand Rapids, MI where my wonderfully supportive husband has allowed me to take over most of our lower level (and sometimes other parts of the house) with sewing machines, fabric, notions, dolls, etc. One of my favorite parts of my business is picking out fabric. I love stripes, florals, dots and everything in between. 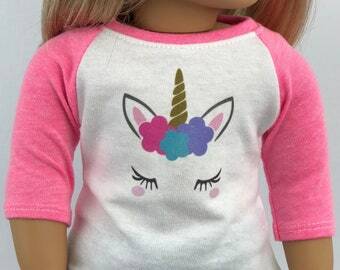 I try to find high quality fabric that is on trend. 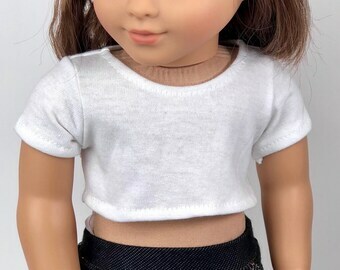 Upcycling jeans into doll jeans and shorts is my favorite! 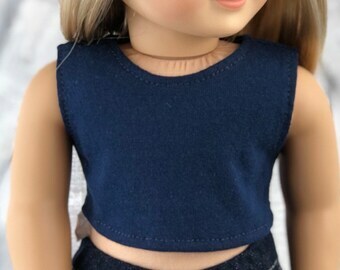 If you haven't checked out AGIG (American Girl Instagram) on Instagram, you really should. 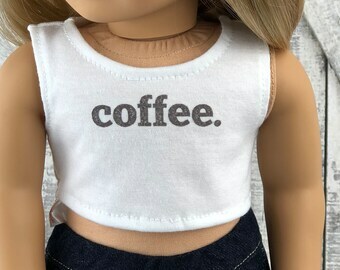 I'm so inspired by all the beautiful photos of dolls and the great community of people. You can follow me at closet4chloe. Welcome to Closet4Chloe! 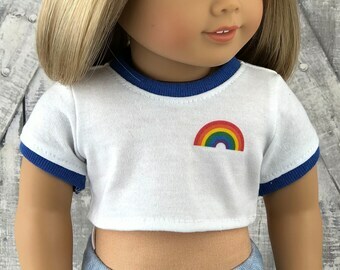 Closet4Chloe has all your favorite styles made especially for your 18 inch girl or boy such as American Girl. 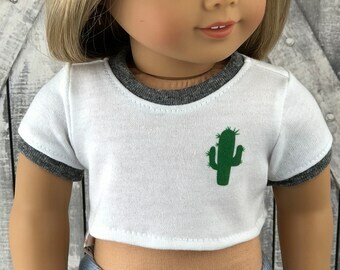 Give your doll a modern dose of cool with popular crop tops, shorts, tees, dresses, leggings and so much more from Closet4Chloe! 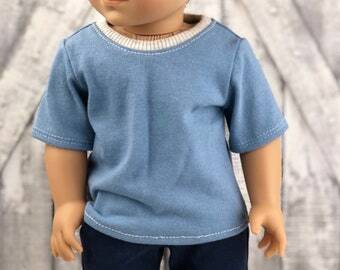 I am sorry that I am not able to accept refunds on used items. Please contact me if there is an issue with your new item so we can work something out. Acceptable payments: Paypal, Visa, MasterCard, Discover, American Express and Etsy Gift Cards. Please check SHOP ANNOUNCEMENT for any temporary changes to the shipping policy. All the items listed in my shop are finished and ready to ship. Your package will be mailed the next 1-2 business days after place your order. Shipping method is USPS Standard First Class 2-5 Day in a pink poly envelope. Shipping origin is Grand Rapids, MI in the USA. I will normally ship your order the next business day after you order. Please allow a couple days after you order to check the tracking on your package. It sometimes takes the post office a while to update their tracking information. U.S. Orders: Please be sure your shipping address is a confirmed USPS address. I have had issues with packages being lost during delivery if USPS cannot confirm your address. Your package may be delayed if I need to contact you for an address correction. International Orders: Please note that international customers are responsible for all customs, duties and taxes associated with shipping to their respective countries. Please check with your local customs office for possible fees. International orders are sent using First Class International. You can track your package by going under your PURCHASES and clicking on the TRACK PACKAGE box. Unfortunately, I will not be held responsible for missing or lost packages once they are in the hands of USPS. You may contact USPS at 1-800-275-8777 to express your concern with missing mail. If your order is over $100, I normally purchase insurance on it and we can file a claim. Please contact me if there is an issue and I will help as best I can.